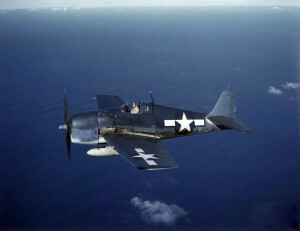 Just after midnight, on the morning of May 29, 1945, Lieutenant David Warren Allen took off from the Charlestown Naval Auxiliary Air Field in an F6F-5n Hellcat, (Bu. No. 79104), for an OCI interception flight. The night was particularly dark with scattered rain squalls. Lt. Allen’s plane was last seen 100 feet in the air and climbing. It was later learned that Lt. Allen was killed when his plane crashed into the water not far from the end of the runway. There were no eye witnesses to the accident. Due to the fact that Lt. Allen was an experienced pilot with 2,000 hours of air time, investigators concluded that the accident was caused by mechanical or structural failure of the aircraft.